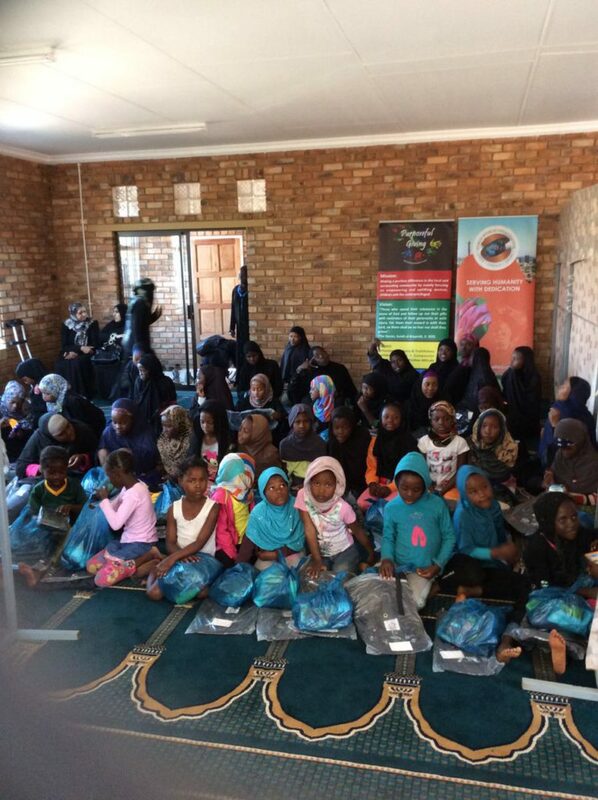 Alhumdulillah, we were fortunate to be involved in two feeding schemes facilitated on a daily basis through the partnership of WMO [Africa Chapter] and Purposeful Giving [APEX Body of WMO]. Brazzaville Masjied—Atteredgeville—Pretoria: this institution is managed by Sheikh Omar and is a fairly new masjied, which was completed approximately 2 months ago. One hundred Iftaar packs consisting of two meals, a drink, biscuits, fruits and dates were distributed on a daily basis. 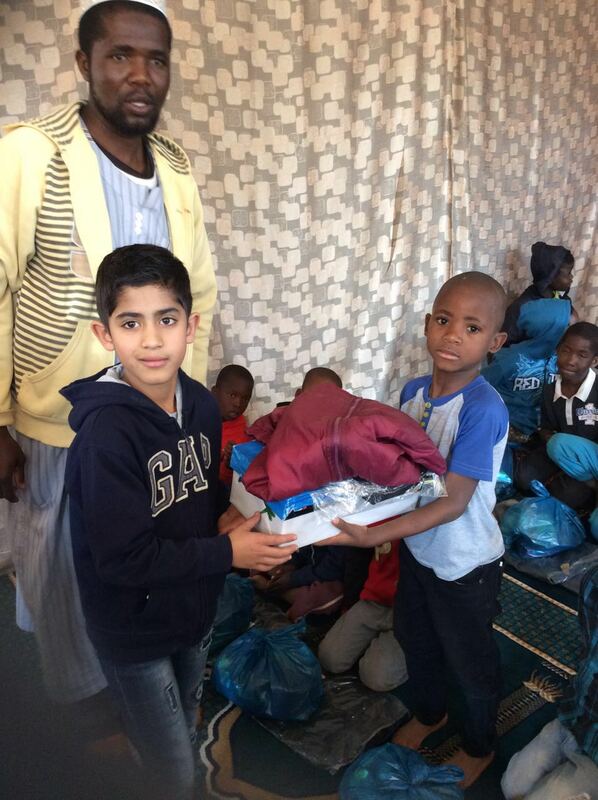 Jacob Mare Street Masjied—Pretoria Central: this institution is taken care of by Brother Bilal. 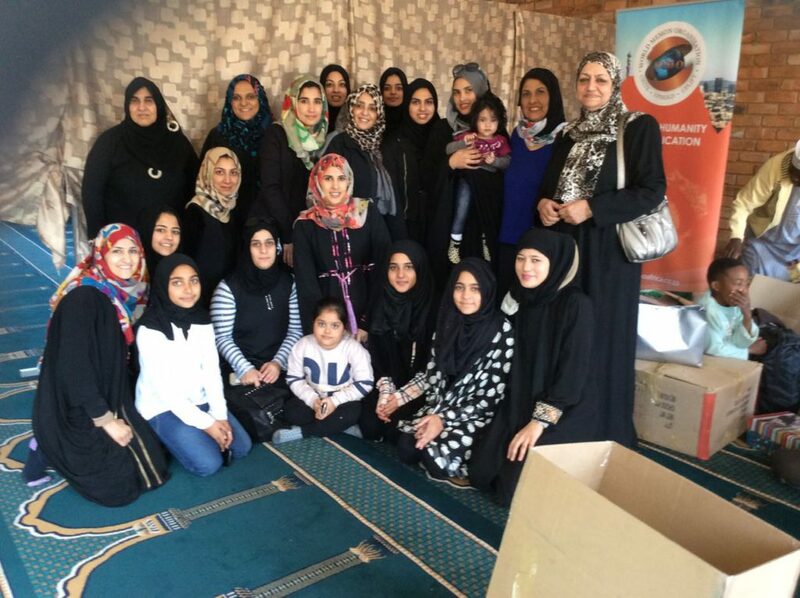 The same pack as mentioned above was provided to the recipients at this masjied. WMO & Purposeful Giving members together with a group of volunteers visited the Brazzaville Complex on Sunday—26th June 2016 and handed out the following items: Decorated and personalized shoeboxes consisting of toiletries, stationery, a vest, a pair of socks and a gift for each child. 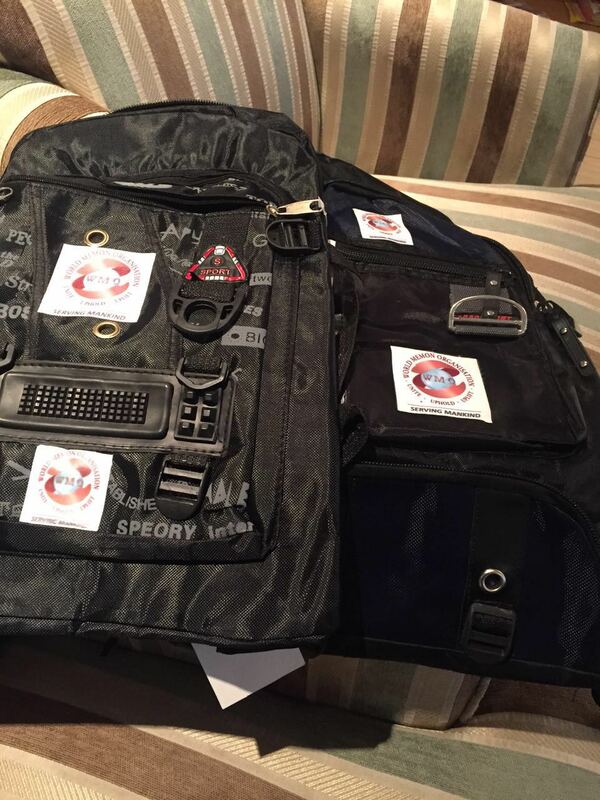 A WMO branded backpack filled with a beanie, a jacket, a jersey and a t-shirt. A party-pack filled with sweets and treats for the children. And a Chicken Licken meal for the adults and the children.